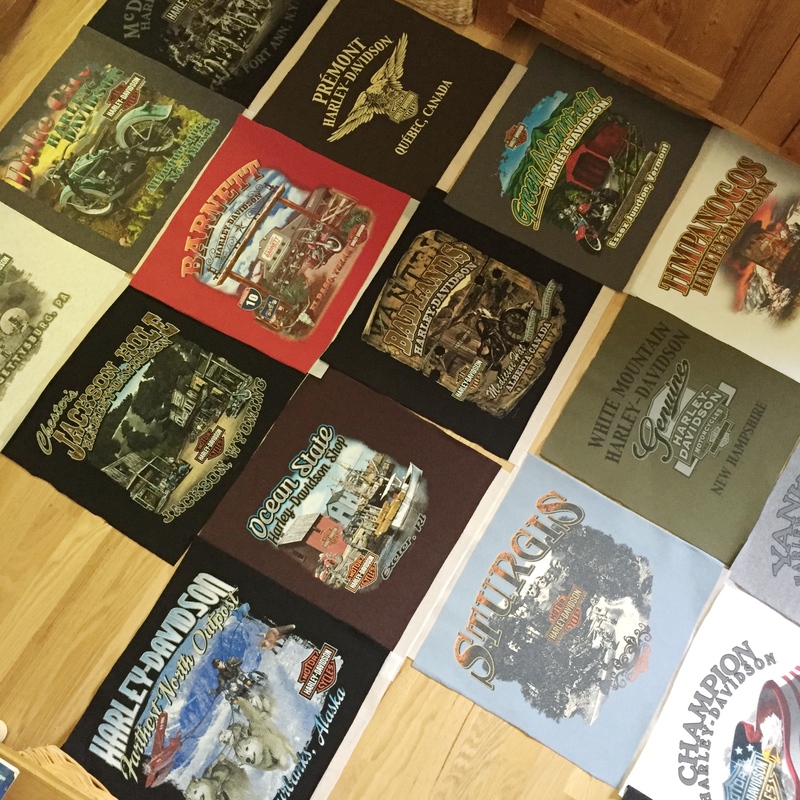 Over the years, Les has collected t-shirts from Harley Davidson dealerships across Canada and the USA. 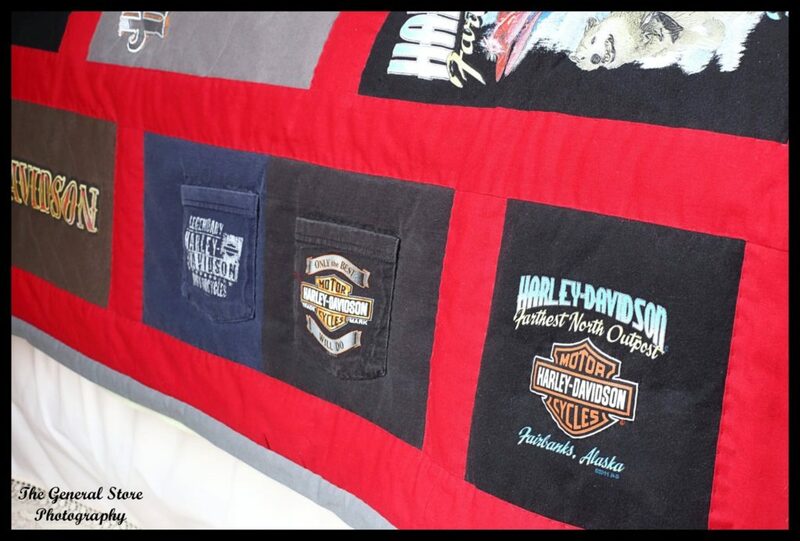 I think he wore all of them but the main purpose for getting them was to have a quilt made from the artwork and emblems. Last year he cut out squares and, when I had time, I pieced them into a quilt top. Because it was stretchy t-shirt fabric, each square had to be reinforced with an iron on backing. I delivered it to the quilting ladies at our church and they worked their magic. It was a tough job because the backing on each square made it really difficult to get their needles through. After they finished their part it came home and sat for a couple of months until I had time to put the gray binding around the edge. It is now done! Yay! What a job this has been! 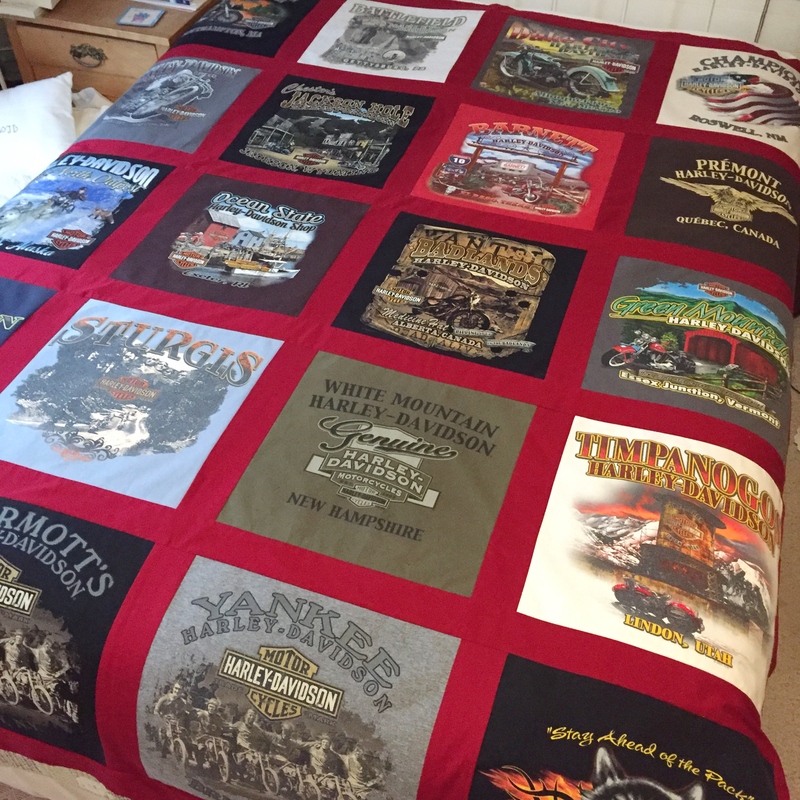 It is going to go in our trailer but I took a few photos on our bed in the house to show you the finished product. We even used the pockets on a couple of t-shirts. I am really pleased with the results. 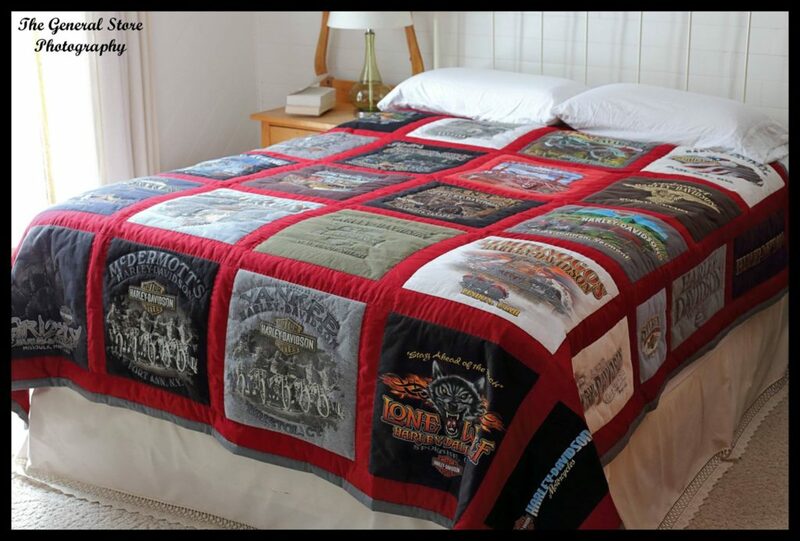 At some point I would love to get a heavy duty sewing machine so that it possible to machine quilt projects like this. 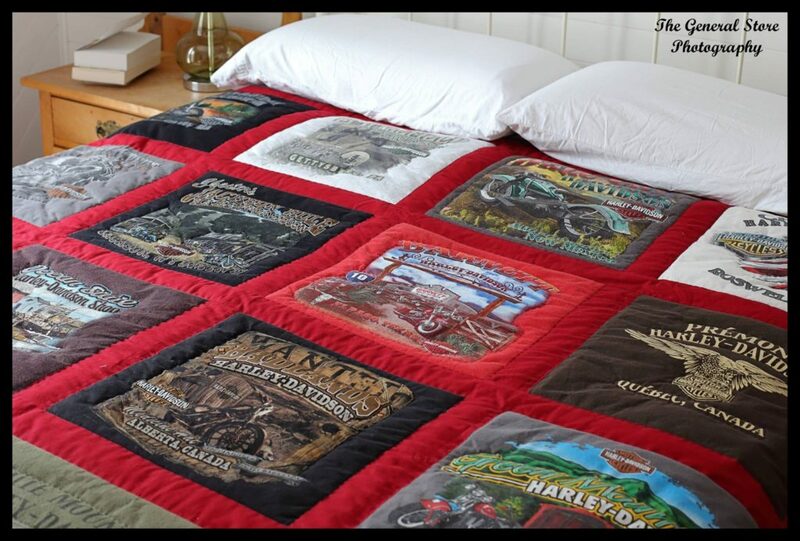 I’m sure the quilting ladies would be happy with that! One by one, I am checking off some of my to-do list for this winter. Unfortunately, I am adding things as well!